In a sit down chat with our good friend Shane Stapleton, Tyrone boss Mickey Harte talks about which player he’d love to call on to tog out for the Red Hands. This time next week, the hype will be in overdrive ahead of Tyrone’s All-Ireland semi-final meeting with Mayo. But even this week the game has been bubbling to the front of the sporting press thanks to Tyrone’s ‘fact sheet’ and the successful appeal by Conor Gormley. Earlier in the week, Harte sat down with Shane Stapleton of experiencemore.ie and our own Game of Throw-Ins podcast for a chat. 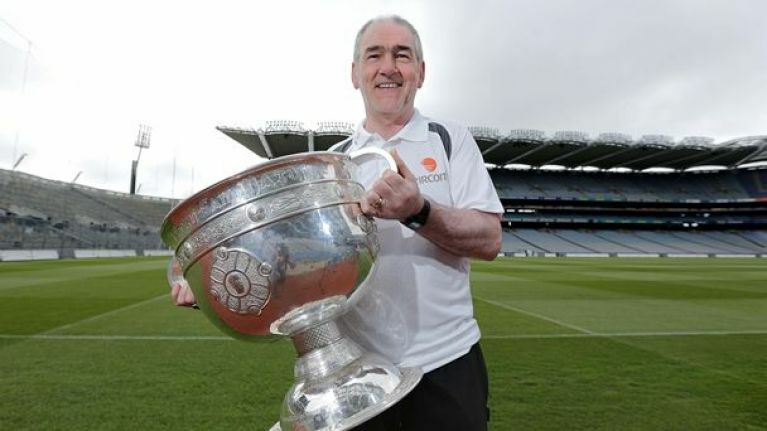 You can check out the whole interview here, and it is well worth a read but we particularly liked the question about which player, from any era, Harte wishes he could add to his current Tyrone team. We think he chose wisely.